Toyota has revealed the interior design for its new crossover called the C-HR, showing it off to potential buyers ahead of the car’s debut later in 2016. The C-HR is a car that Toyota designed with an eye towards more stylistic freedom and to promote engineering creativity and innovation, I have to say that Toyota certainly met that goal. This is one of the most interesting looking vehicles to come out from Toyota, a brand not known for edgy design and style. Unlike the striking exterior, the new C-HR sticks with Toyota convention – ditching the futuristic cabin of the Prius for a more traditional interior. The new C-HR has standard dials and gauges with just a small display screen between them – and they are behind the steering wheel, rather than mounted high on the dash as in the Prius. The only real nod to the C-HR’s hybrid powertrain is replacement of a rev counter with an ‘eco’-meter. The interior of the car is mostly black leather along with a blue swatch that runs across the dash. The design of the seat upholstery mimics the dash design and the overall design inside this car is stunning. 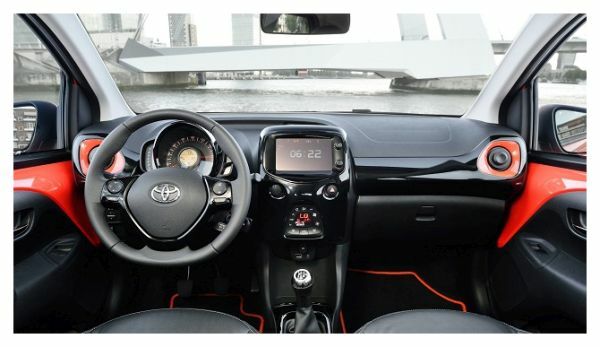 On the dash is a large 8-inch display that is touch sensitive and has a redesigned interface and also uses the Toyota multi-media ’16 navigation platform with enhanced connected services. It big screen is angled slightly towards the driver. The car will feature a new 1.2-litre four-cylinder engine that makes 185Nm and 85kW, along with the option of front or all-wheel-drive and the choice of six-speed manual or CVT automatic transmissions. The C-HR will arrives locally in the first half of 2017.